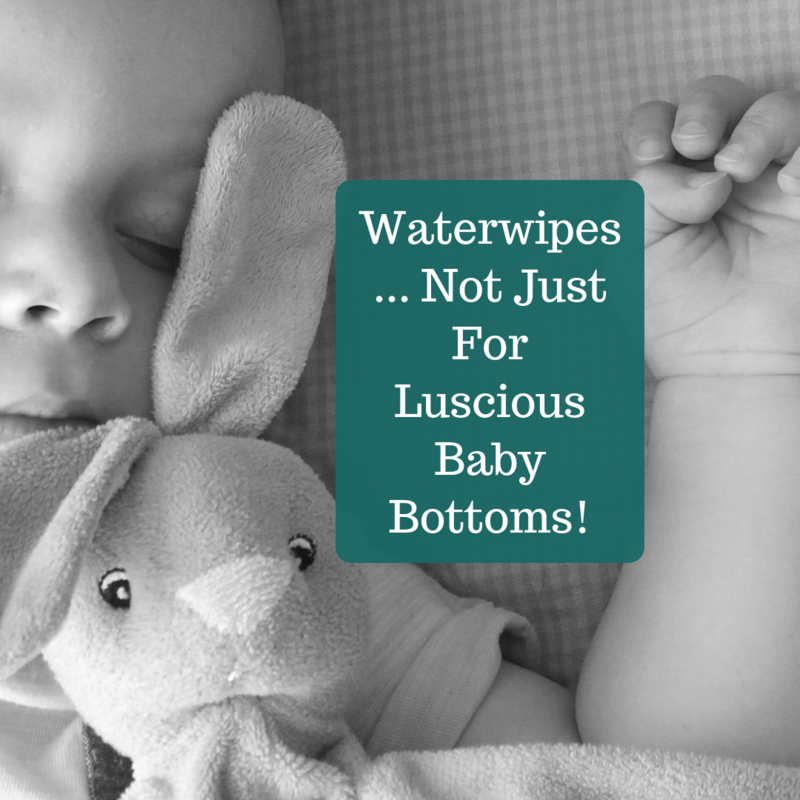 WaterWipes… Not Just For Luscious Baby Bottoms! Twenty-five percent of children get diaper dermatitis, and infants are more susceptible because their skin is less developed – making the choice of baby wipes important for their health and comfort. Having first hand experience dealing with a new born who suffered with sensitive skin and developed bad nappy rash, Edward McCloskey, the creator of WaterWipes, set out to find cleaner, non-toxic baby products. Five years of hard work, testing, and scientific research, resulted in the creation of a breakthrough technology and patented water treatment process, dozens of awards and a brand that is growing by 133% year on year in the independent pharmacy channel. 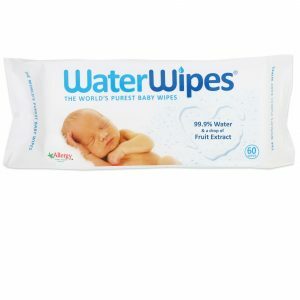 Now WaterWipes is a global entity and millions of new mums and dads in every corner of the world, are discovering the benefits of WaterWipe’s gentle and safe wipes for their baby’s skin. Nappy rash and dermatitis, are terms used to describe an irritating condition that develops on the skin that is covered by a nappy. It is estimated the up to 50% of babies suffer from at least one episode of nappy rash at some time. Infection is not a primary cause although secondary infections such as fungal/yeast (Candida) infections and allergic reactions can occur. Prevention of nappy rash is the ultimate goal. A typical medial health site will recommend a combination of measures, air out the skin; use a nappy paste or ointment to protect the skin; keep the skin clean; and using disposable rather than cloth diapers as they are more absorbent (some would debate a few of these actions). However, most conventional nappy products contain ingredients such as zinc oxide, petrolatum (vaseline), lanolin, paraffin, or dimethicone, which form a protective skin barrier against wetness. Look these ingredients up on any of the apps available to decipher your ingredient list, ie. the Chemical Maze and your will find a string of unhappy faces and potential side effects that are best avoided. Historically the toxicity of substances is established mainly on investigations using adult human populations and matured animals NOT babies. Certain scientific data is now indicating that children are more sensitive to toxic exposure than adults because they have proportionally more intake of food contaminants, active developmental processes, multiple exposure pathways and susceptible socio-behavioral activities (crawling on the floor). It is now recognised that chemical exposure early in life is a significant and preventable causes of disease in children and adults. As parents are becoming more informed they are ditching baby products that contain harmful chemicals for baby products that cause no harm. 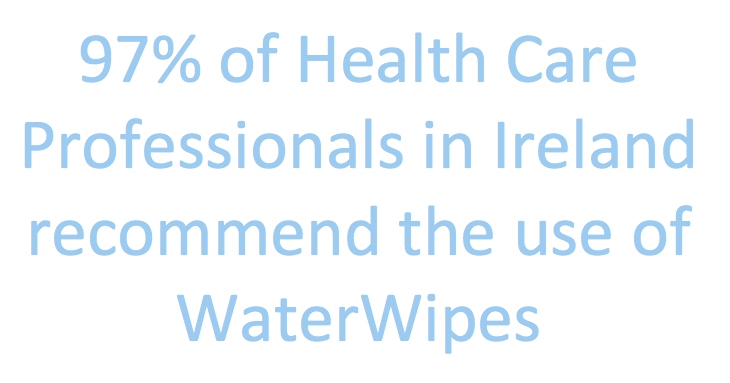 Waterwipes are passionate about protecting babies! They are the only wipes that contain 99.9% purified water and a drop of grapefruit seed extract – a natural skin conditioner. They don’t irritate the skin, instead, they may help prevent the cause of diaper rash and other skin conditions. With just two ingredients the result is a softer wipe, and a wipe that is more convenient than applying water with a washcloth. They can be used on babies from birth and are suitable for sensitive skin. The only baby wipe to be approved by Allergy UK and Awarded the National Eczema Association Seal of Acceptance and have become one of the most well-known and loved baby wipe brands in Ireland, U.K., Australian & NZ and U.S.A. They are also now a proud Gold Sponsor of the Eczema Association of Australasia! 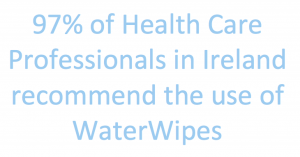 A Spark research study on 102 Midwives (2014) identified 97% of the midwives surveyed believed WaterWipes are suitable for use on the skin of newborn babies. A baby’s skin is it’s first line of defense and needs special care as their skin is thinner than adults; there is a high ratio between skin surface area to body weight and their skin is covered by a sort of down that increases the absorbent surface. Conventional baby cleansing products are commonly alkaline which can increase the pH of the baby’s ‘acid mantle’ (a very fine, slightly acidic film on the surface of human skin acting as a barrier to bacteria, viruses and other potential contaminants that might penetrate the skin), therefore disturbing the skin’s important natural barrier. “I have been a midwife for more than 18 years and have seen too many newborn babies develop angry red rashes due to the chemicals in many ‘brand-name’ baby products,” says Lois Wattis, experienced midwife, registered nurse and author of ‘New Baby 101 – A Midwife’s Guide for New Parents’. 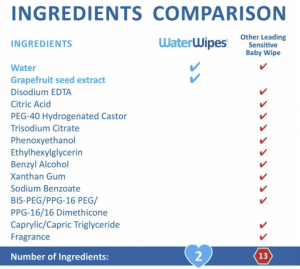 ““I first came across WaterWipes about five years ago and recommend the brand in my book simply because I have seen first-hand the ramifications of using wipes with harsh chemicals. Eczema is a dry, itchy skin condition that affects up to one in five children. It usually appears for the first time before your child is two years old. The good news is that most children who have eczema will grow out of the condition by the time they’re in their teens. Different types of eczema all result in dry, itchy, red and cracked skin, which can sometimes ooze fluid and bleed. The areas most affected in babies are the hands, face, neck, elbows and backs of the knees. Eczema affects the skin in flare-ups. Winter and the cooler months bring cold dry air which make it hard for a baby’s skin to retain moisture. Lack of moisture can cause itchiness and irritation to a newborns sensitive skin. Your baby’s skin may have dry and itchy patches most of the time, but during flare-ups these areas worsen and become inflamed and for a baby who suffers from eczema, this sensitivity is heightened and requires careful management.. Flare-ups happen as their immune system overreacts to allergens. Eczema flare-ups can sometimes be triggered by skin irritation caused by certain chemicals, such as the detergents in bubble baths, shampoos, washing powders and fabric softeners. Another reminder to avoid using products with nasty chemicals. There are many things that can lead to a winter eczema flare up. The constant switch between the cold, windy conditions outside and the warm air of a heater can irritate the skin. Even certain clothing such as heavy woollen fabrics can cause irritation. When treating an eczema flare up, choose your baby products wisely. Even products that claim natural ingredients can be found to contain chemicals that irritate a newborn baby’s thin, delicate skin, so when treating a nasty winter eczema flare up, look to the wipes that were designed specifically to heal your baby’s delicate skin. Access all our community deals by go to www.chemfreecom.com, click on sign up and enter your name and email. Go to the Members Rewards page on your Dashboard for all the members deals.